Beautifully restored historic buildings, pristine terraces with splashing water fountains, vast park spaces of lush landscape and open sky. What a great recipe for a wedding venue! 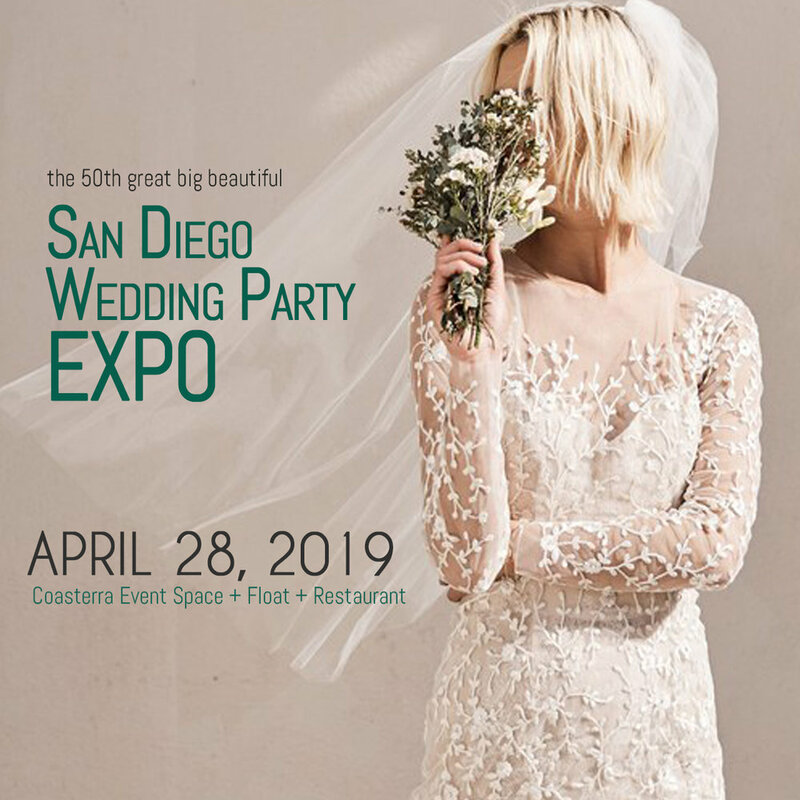 That's what you get [and more] with NTC Venues at Liberty Station, a recently renovated historic San Diego landmark turned special events venue, where we will hold our 39th Wedding Party EXPO on July 31! With its indoor spaces like the renovated library, historic chapel, paved plazas and outdoor park-like settings, this amazing collection of spaces can easily accommodate celebrations from 25 guests up to 3000 with many choices on over 28 acres of incredible, historic surroundings. For more than 75 years, hundreds of thousands of Navy recruits were trained at Naval Training Center (NTC) San Diego. It was here that these young men and women matured and received the knowledge and skill required for the challenges of military duty. Decommissioned in 1997, NTC has been designated a historic property for its architectural and cultural significance. It is a San Diego treasure and significant community asset. However, it continues to hold the memories of past generations of naval recruits whose lives were transformed at NTC. NTC is once again serving San Diego proud and transforming the lives of new generations as the NTC Arts & Culture District - a new flagship for arts, culture and creativity that reflects advances and strengthens San Diego as a Center for Innovation and Creativity. NTC's historic buildings and grounds are home to some of the most unique Event Venues in the region, where they offer stylish spaces and hospitality and a hint of tradition from America's finest historic heritage. The McMillin Event Center, Luce Court and Legacy Plaza will be home to the July 31 Wedding Party EXPO and we couldn't be more proud!